Good food looks even better when it is presented properly. For that reason, we are eager to introduce you to our line of serving dishes and trays. This way, you can stylize and arrange your food on elegant platters and stands, to ensure that your dishes are as much a feast for the eyes as they are for the mouth. This section is filled with new ways to present your food, including a variety of serving dishes, platters, and trays that will certainly catch the eyes and interests of your guests. 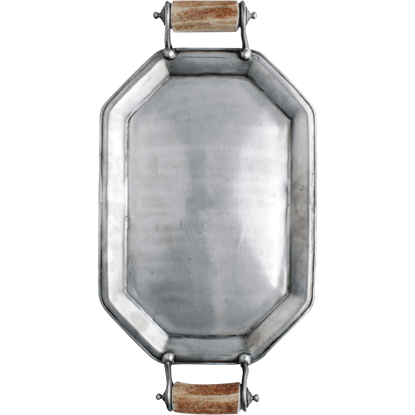 Offered in many different styles, our trays and platters come in wood, pewter, porcelain, and stoneware. 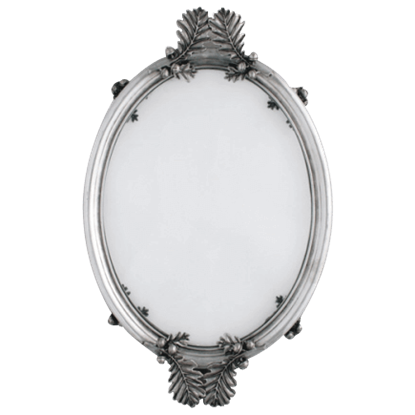 No matter what material you get, though, you get a stunning accent that features rich detailing. Some are shaped like leaves, while others are modeled after wings and feathers. Some have pewter embellishments and ornate handles, while others have actual antler handles for that natural look and feel. 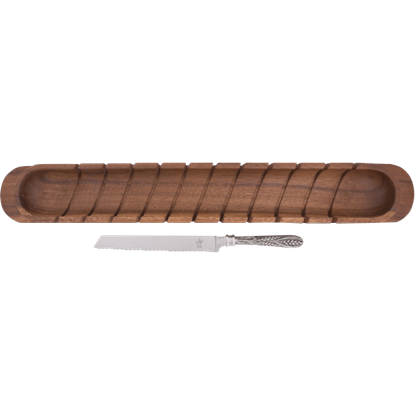 More than just trays and platters, though, we also offer a whole host of other pieces of serving ware, including carving boards for grand roasts and elegant dessert and appetizer stands that will make a display of your most mouthwatering fare. Our stands are particularly perfect for individual elements, like cupcakes, cookies, profiteroles, and more! Presentation is important when you serve your food, so make sure you serve your finest fare on the best platters and stands, delivered to you directly from our serving dishes and tray section. 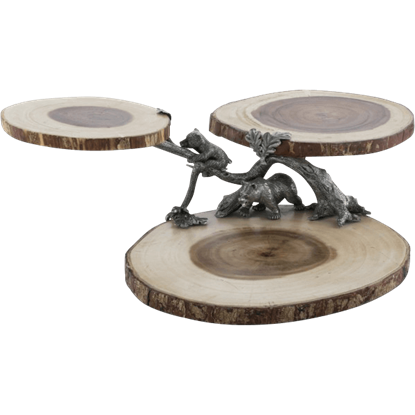 Offering majestic woodland whimsy for your home, the 3 Tier Bear Cub Stand is a piece of art in pewter and natural acacia. 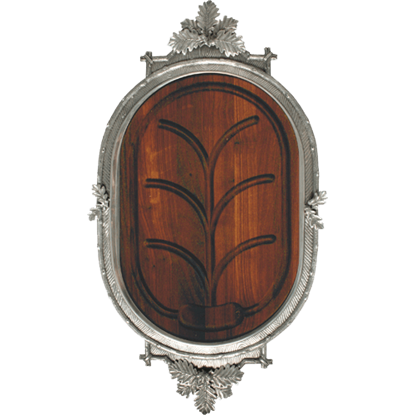 This wooden serving stand features a trio of 1-inch thick acacia wood slices showing unique tree rings. One should never take short cuts with displaying and serving meals. 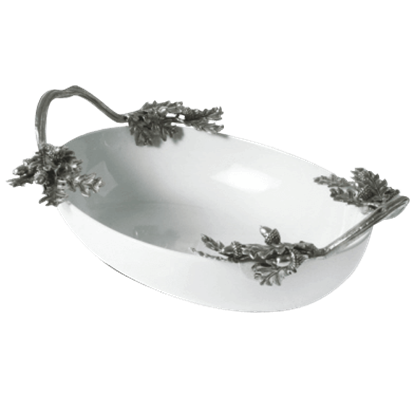 When it comes to presenting your casserole or pie, the Acorn and Oak Leaf Casserole Server makes an attractive option with its quality construction and design. 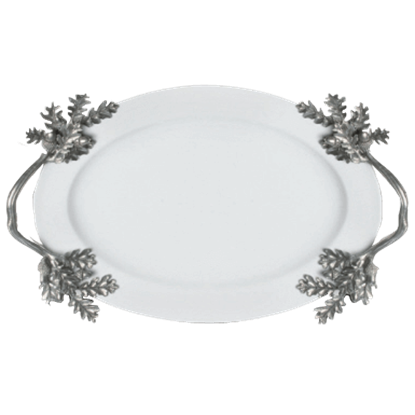 The luxurious Acorn and Oak Leaf Oval Glass Serving Tray beautifully showcases your gourmet delicacies with naturally elegant style. Whether this tray transports appetizers, glasses, or a dinner plate, your food will look great. The quality of your servingware ought to match or surpass that of your flavorful, beautiful food dishes. 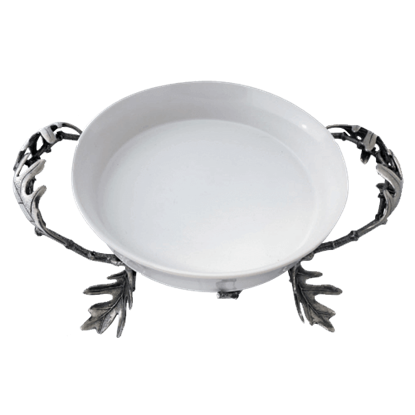 The Acorn and Oak Leaf Serving Dish displays lustrous white stoneware finished with lovely and unique pure pewter handles. The Acorn and Oak Leaf Stoneware Tray provides a generous platter with handles for your next gathering. 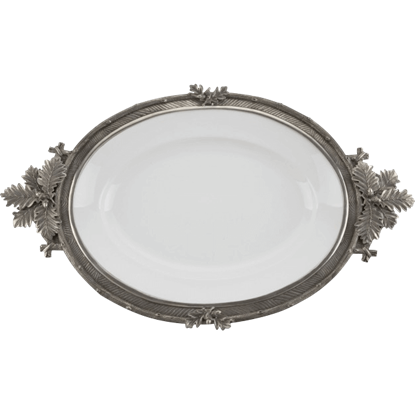 The luxurious oval stoneware tray displays its sturdy pewter handles with sprays of oak leaves and acorns at each corner. 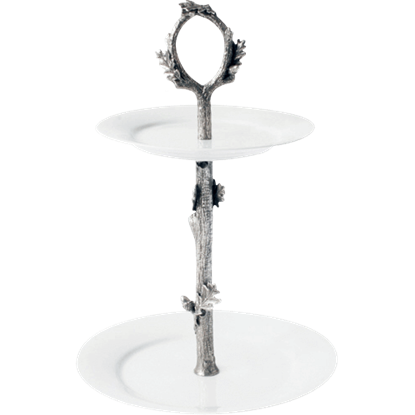 Celebrate with the sweetness of natural beauty with your guests by presenting your carefully selected sweets or appetizers on the two stacked plates of the pewter-embellished Acorn and Oak Leaf Tiered Dessert Stand. The Antler Handle Parlor Tray makes a great example of the quality and tradition apparent in our pieces of Lodge servingware. This antler serving tray is crafted from luxury pewter and hand-turned, naturally shed antler. The Antler Handled Serving Tray displays natural white stag antler handles on each end that add rugged style to its design. 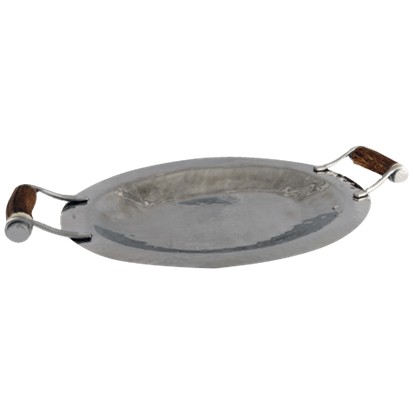 The hammered, highly polished stainless steel serving tray makes a great choice for dinner parties. 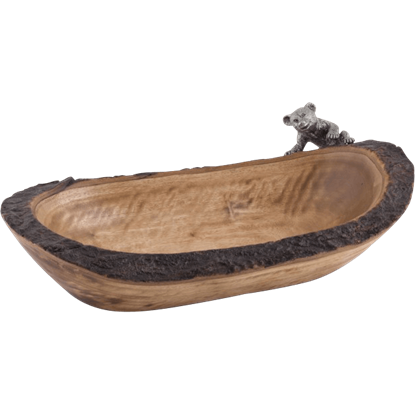 The Bear Cub Bread Server is hand-turned and finished from beautiful acacia with unique wood grain. Natural bark has been smoothed and finished to create a rustic natural embellishment along the rim of the wooden trencher bowl. Let the feasting begin with a perfectly roasted large fowl or roast prepared and presented on the Black Forest Carving Board, made with pewter embellishments and dark cherry wood. Your guests will be amazed with its elegant beauty. Luxury appears in the details of this Black Forest Stoneware Tray. This large serving tray is crafted from double hand-glazed stoneware, which is nestled in a pure pewter frame with a faux wood grain pattern.